Twenty days ago, one-year-old Nina was malnourished and underweight, a condition exacerbated by the fact that she has tuberculosis and a hernia. Tragically, Nina’s story is far from uncommon in coastal Kenya. One of the most arid regions of the country, about 50 percent of the population lives below the poverty line and many face chronic food insecurity. In Eldoro village, where Nina and her grandmother live, most people work as subsistence farmers or have small businesses. The constant struggle to eke out a living, coupled with the region’s dry climate, mean food insecurity is a major concern for Nina and her neighbors. Also, the lack of knowledge about nutrition and a limited supply of varied nutritious foods in the region contributes to the high levels of stunted and underweight children under five years of age. In Nina’s case, the lack of jobs drove her mother to leave Eldoro village, leaving her in the care of her grandmother. Thankfully, she knew Nina needed help and took her to an International Medical Corps-supported nutrition program in the area for a checkup. International Medical Corps and the Ministry of Health established a new program to address the high levels of underweight children in the region. Thirty-two underweight children, including Nina, and their caregivers started in the program to learn about locally available nutritious foods and the importance of a varied diet. At the time Nina was admitted, she only weighed 15.8 pounds, whereas the average one-year-old baby in the United States weighs about 20 pounds. In addition to starting her on a program to help her reach a target weight, International Medical Corps health workers also put Nina on treatment for tuberculosis. However, her weight meant Nina was too weak to handle an invasive surgery to fix the hernia. 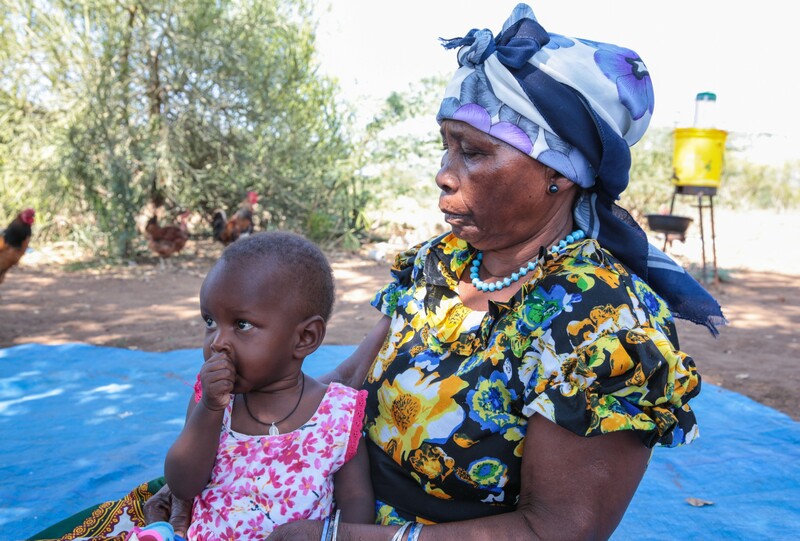 At the same time, Nina’s grandmother and the other mothers and caregivers involved in the program met for 12 days at a member’s home, where they learned how to prepare nutritious foods from trained health workers. 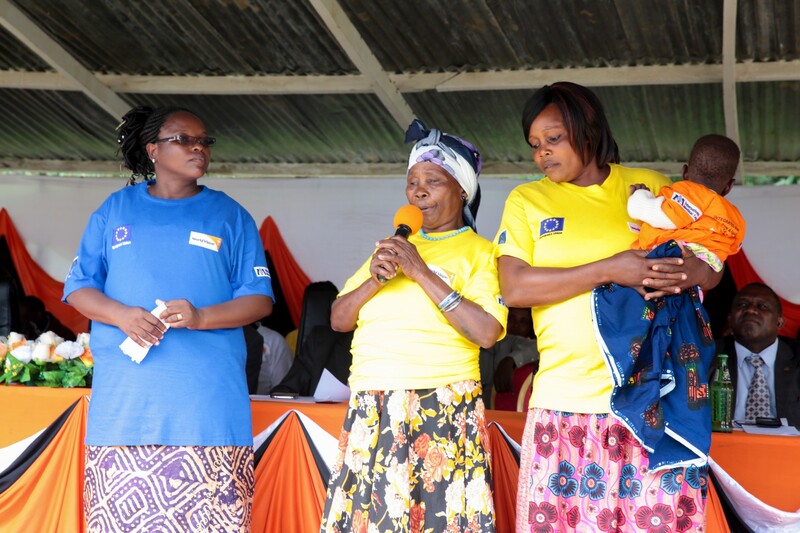 They also covered the importance of hygiene practices, particularly hand-washing after using the toilet, changing diapers, and preparing and eating food, in child health and wellbeing. After the 12 days of lessons, a community health volunteer then visited Nina’s grandmother at her home for another 10 days to make sure she was putting what she learned to practice. Meanwhile, Nina continued to gain weight. After 20 days in the program, Nina weighed 18 pounds, a much healthier weight for a one-year-old baby. Baby Nina’s grandmother tells her story at the program’s closing ceremony. 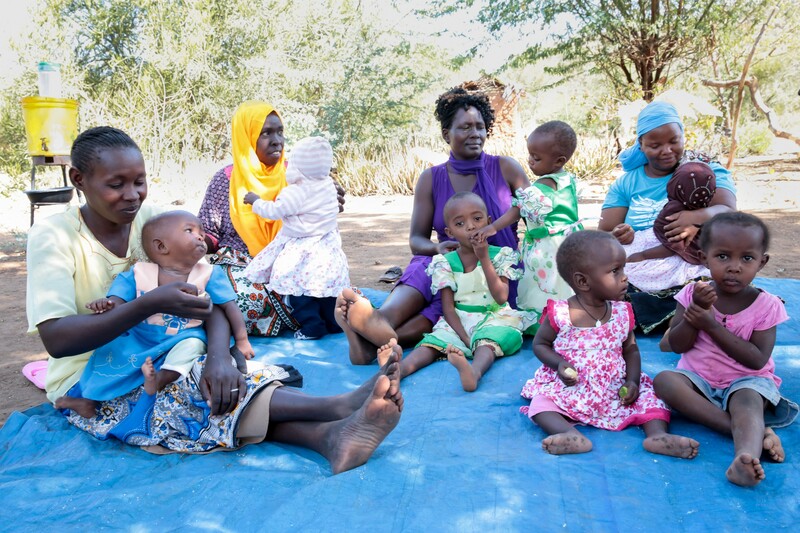 International Medical Corps has been implementing nutrition programs in Kenya since 2011. International Medical Corps has strived to alleviate malnutrition by targeting children under five years of age and pregnant and lactating women with the goal of reducing child mortality by 30%. 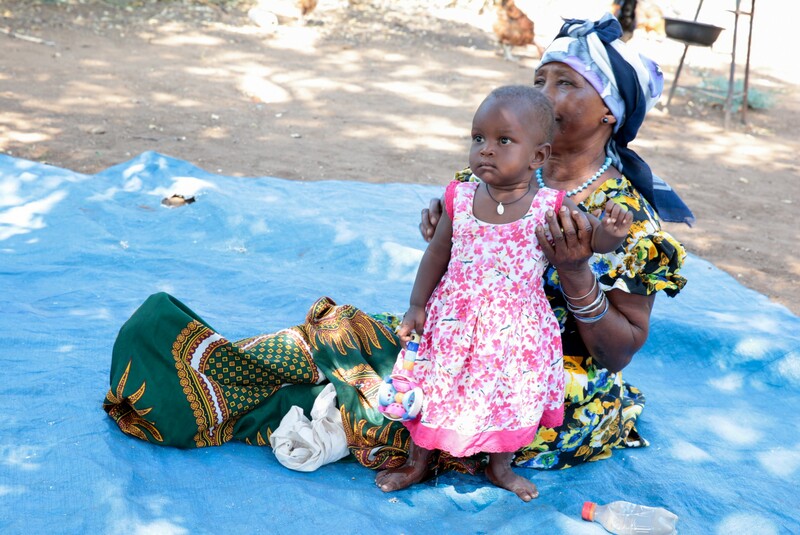 The focus of International Medical Corps nutrition programs is to improve maternal and child health through nutrition and family planning interventions. Follow International Medical Corps on Facebook, Twitter and Instagram. International Medical Corps relieves the suffering of those impacted by conflict, natural disaster and disease by delivering medical relief and training.